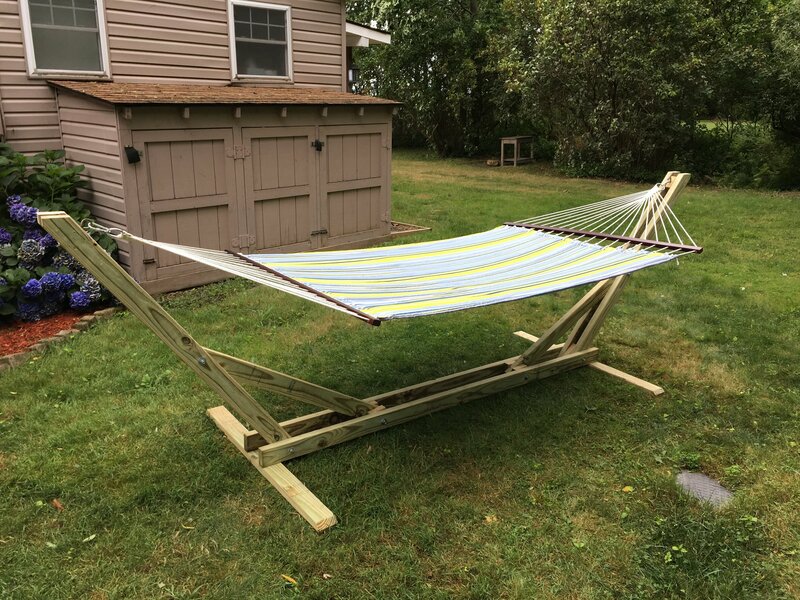 The following is a Hammock stand that is relatively inexpensive and rather easy to build. Given the size of a standard hammock, the footprint is rather large, but you will be thrilled with the results. For our hammock, we selected the following at Amazon. At the time of purchase, the hammock was $49. It is durable and the fabric resists fading. There is a bit of padding to this hammock as well. We have an alternative that has a slightly different look than the plan above. I prefer the one above due to the added style of the item. The intricate stacking of joints really adds to the design of the item.